Minnie Adkins is without a doubt the nation's #1 female carver. Her rise to fame began on a trip to town and a visit to a local Art Gallery owned by Adrian Swain in Morehead, Ky. Intrigued, Minnie went in the store to see what Adrian had on display. She told Adrian that she was a wood carver and he encouraged her to bring some of her artwork in. Adrian began selling her carvings and introduced her to folk art dealers. Minnie suddenly found she had more work than she could handle. She and Garland began working together to create the most sought after pieces of art work in the country. They didn’t keep it to themselves. 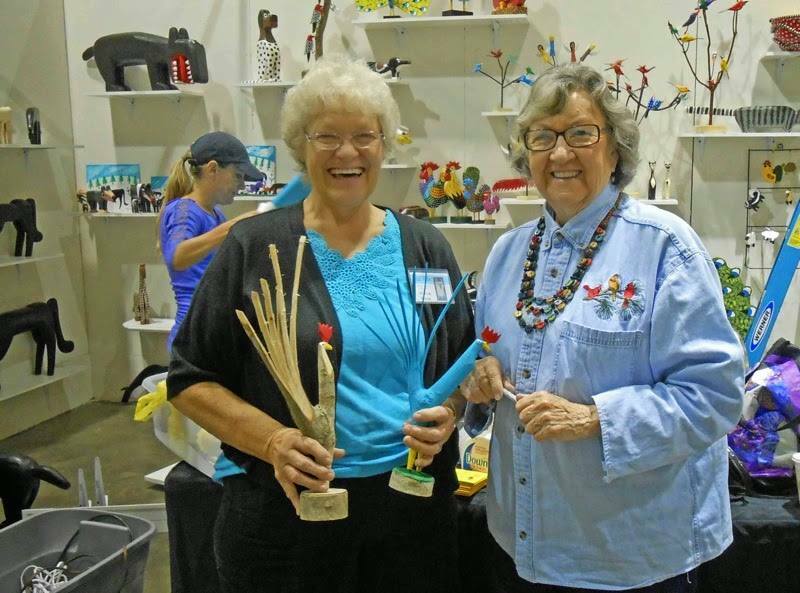 They became the driving force behind the folk art movement in Northeastern Kentucy and introduced others to the folk art movement. She has been locally, nationally and internationally recognized for her unique carvings. She’s received numerous awards, local, state wide and throughout the United States and abroad. There have been many books written about her and most recently she collaborated with Mike Norris (musician and songwriter) on two books, “Sonny The Monkey & Bright Blue Rooster”. Minnie annually hosts a gathering of folk artists in Morehead on the first Saturday in June called “A DAY IN THE COUNTRY”. She thanks God and gives Him all the credit for any talent that she has. I was buying Minnie’s artwork before I actually met her. 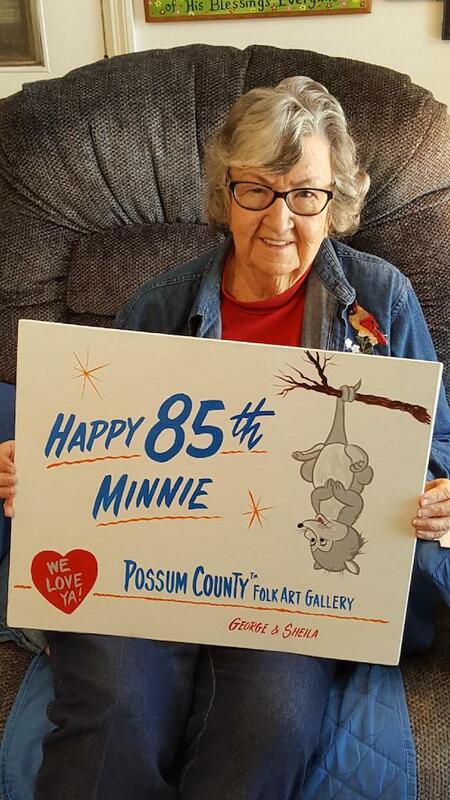 What gallery named Possum County Folk Art Gallery would be complete without one of Minnie’s POSSUM with BABIES hanging on her tail?